Helping the community is what Radley Village Shop is all about. The shop was established to serve the Radley community and its interests. That doesn’t just mean selling a wide range of everyday items. It also means acting as a community hub – somewhere to pause for a chat or stop to ask for directions, and even acting as a lost property office. Radley Village Shop supports the community in many ways. 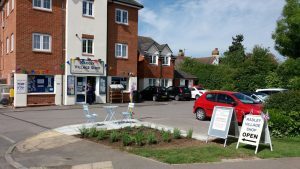 The shop’s efforts to serve the community were recognised in the overwhelming vote of confidence it received from those who filled in shop related part of the Radley Neighbourhood Plan consultation questionnaire in May 2016.